We can setup a Disaster Recovery Plan for your company to protect your data from any Disasters that may come your way. We make use of the Acronis product range. We have worked with this product extensively and it works very well. The first line of defence against losing your data is to make use of an external backup device. Use a USB External Hard Drive. We also make use of ownCloud as added data protection. Sync and Share Your Data, with Ease ownCloud is the most straightforward way to file sync and share data. You don’t need to worry about where or how to access your files. With ownCloud all your data is where ever you are; accessible on all devices, any time. Your data is safe as it is on at least one of your devices at the same time as it is stored on the ownCloud Server, thus your data is in two places at the same time. If you have say four devices synced with the ownCloud Server your data will be in four locations at the same time. Say the server crashes you still have your data on all your devices and when we resort the server we will re-sync all your data from your device/s to the ownCloud server. If New Image closes down your data is still on all your devices and you can migrate your Data backup requirements to another Service Provider. When traveling, access ownCloud through your Android or iOS devices. Automatically upload pictures after taking them. Sync files at home or work with the desktop client keeping one or more local folders synchronized between devices. In other words if the New Image servers are switched off your data does not get removed from your devices all that happens is your data does not get synced to the ownCloud server anymore. And wherever you are, the web interface lets you view, share and edit your files alone or with others. Want to integrate third-party storage providers? With its open and flexible architecture. With over 15 million users and a very active developing community of over 1,100 contributors, ownCloud is one of the biggest open source projects worldwide. Start reaping in the benefits by joining the ownCloud community. ownCloud is all about securing your data. Encrypt your data and make sure that no one, other than yourself, has access. 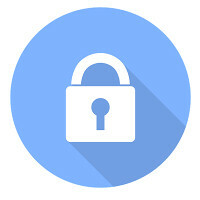 With credential or master key based encryption, ownCloud adds an additional layer of security to your files. ownCloud provides easy access to all your data – whenever you want, wherever you want. Search through content, setup favourites for frequently used files and browse through revisions. With the ability to implement an Elasticsearch server, you can power up the file search even more. You can Start from as little as R50 per month for 10GB of Storage Space.